(TRAVPR.COM) SAN JOSE, CALIFORNIA - March 22nd, 2017 - Travel portal Review Resorts is actively inviting travel professionals to position themselves as experts by posting articles about vacation destinations, resorts and experiences. All marketing opportunities are FREE for professional travel agents who have a website dedicated to travel. As the escalating cost of search engine and social media marketing make it prohibitively expensive, many travel professionals are embracing content marketing to create awareness of their packages and adventures. Review Resorts has responded in creating a content marketing platform where travel professionals can establish themselves as leading experts by publishing articles about the experiences and adventures they offer. Review Resorts positions guest authors as thought leaders and experts in their travel niche. Many hours of web development were put into crafting article pages that provide incredible branding for contributing authors. The Author Bio pages provide a beautiful layout featuring the author’s head-shot, professional bio and links to their website and social media sites. Review Resorts allows travel agents to Sell the Experience by writing 600 to 1,500 word articles describing the experiences and adventures they are promoting. Published articles are posted with the agent’s professional bio pinned in the left column including links to their website and social media as an easy way for interested readers to make contact. 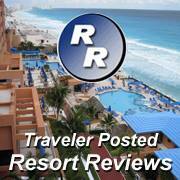 For information about posting an article on Review Resorts: Article Guidelines. ReviewResorts.com is a micro-blog marketing platform promoting Travel Experiences and various types of Vacation and Recreation Resorts. Users are provided the opportunity to post resort reviews and travel marketers are encouraged to post content articles. Generating interest and awareness of travel and recreation opportunities is at the heart of the site.